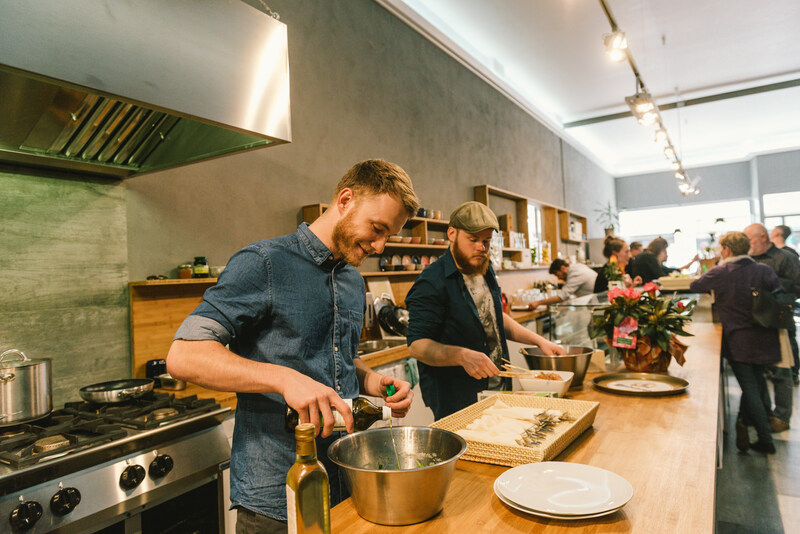 Be it typical German, traditional Silesian, Bohemian or international cuisine – restaurant owners in Görlitz offer a wide range of delicious temptations to their guests. Eating out in the city on the Neisse River is not only a culinary expedition, but at the same time, an exciting journey into architectural history as well. 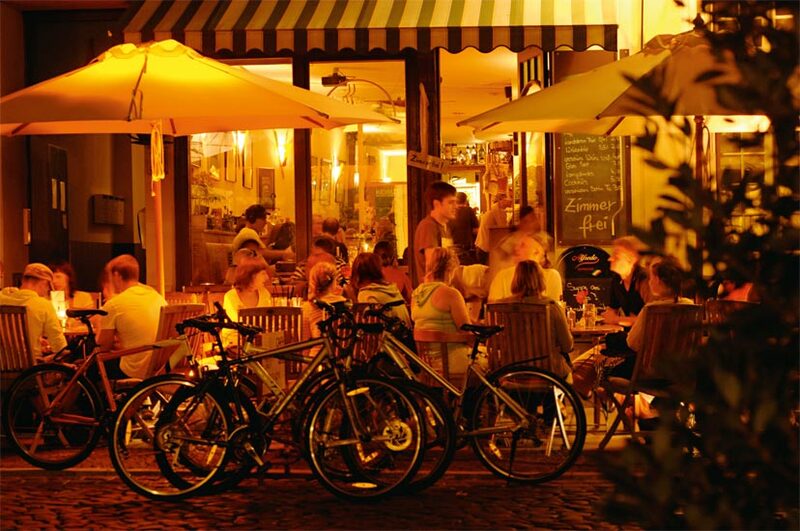 All around the Lower and Upper Market, along Neißstrasse and Peterstrasse, a wide selection of outstanding cafés, restaurants, and pubs has established. In the torch-lit vaults behind historic walls and in romantic backyards, all kinds of delicacies are served to the guests. You can be sure to find something for every taste. Since 1869, the Landskron Brewery has been brewing the popular Landskron Beer, behind historic brick walls in deep, vaulted cellars. The beer is brewed according to the traditional manual procedure in open, hand-guided fermentation, and with a lot of passion. And this is exactly, what you can taste. If you want to know more, you are welcome to drop in and taste the beer right on the spot. 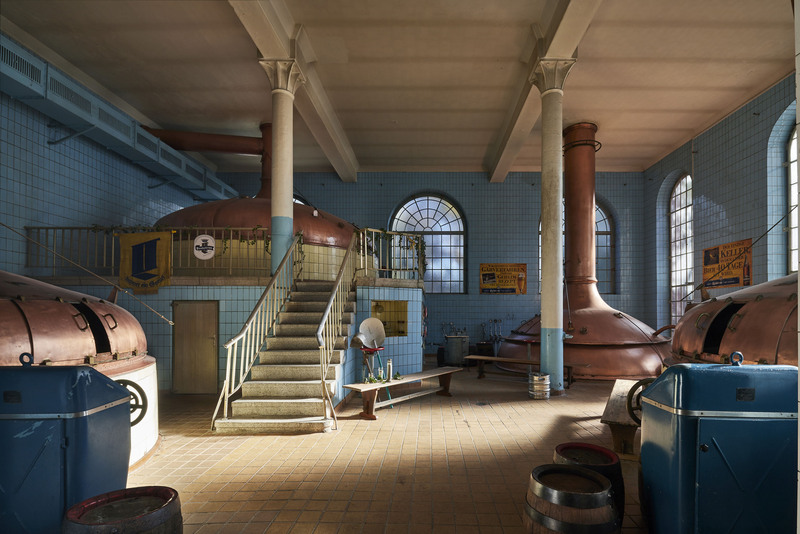 In addition, several small breweries were established in Görlitz during the last few years. Breweries like Obermühle, Bierblume, or GR-LI-BRÄU count on brewing tradition and seasonal highlights as far as the ingredients are concerned. Just perfect for guests, who are curious to try something new in terms of beer. If you visit Görlitz, you should try the „Silesian Heaven“, because this dish deserves its name. To prepare this dish, which is said to be the favourate food in the city on the Neisse River, you need a bit of salted and slightly smoked pork, dried plums and apricots, a few juicy dumplings as well as some flour and butter for the sauce. There are many more secret recipes of Silesian or Bohemian grandmothers to be found on the menus. Be it tender or hearty, noble or rustic – restaurant owners in Görlitz do not only have a good taste, but they are very creative as well. What about a warm Silesian potatoe salad served with bacon? Or perhaps some roast beef Bohemian style? A cool Landskron beer, the famous traditional Görlitz beer, goes perfectly with these hearty dishes. To those, coming to Görlitz during the Christmas Season, we recommend to visit the Silesian Christmas Market and try the famous Christmas bratwurst. This regional speciality is seasoned in a special way, but the most decisive ingredient to add is: lemon. If you prefer something sweet, you should try Silesian poppy seed dumplings. Freshly sprinkled with sugar and cinnamon, they are usually served in a glass bowl. 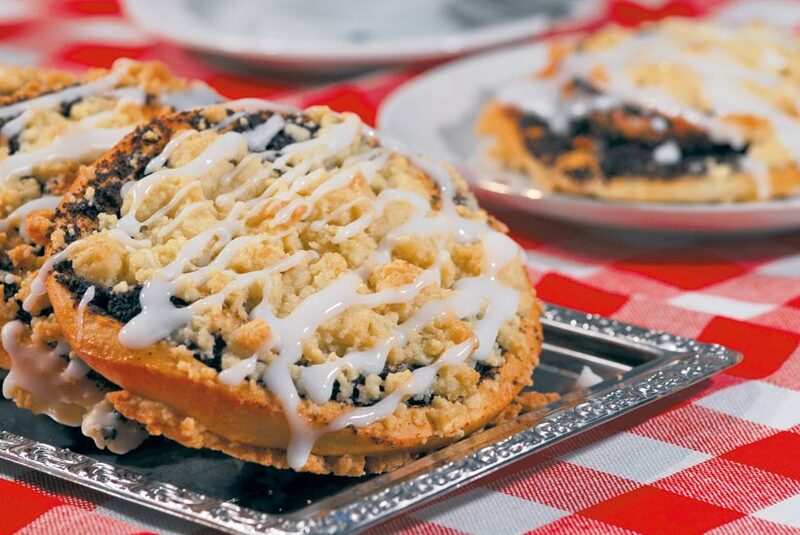 Cafés and confectionaries around the town entice you with all kinds of poppy seed specialities: Mohnstriezel, a long plaited bun, or poppy seed cake covered with crumble are delicious examples of a long Silesian baking tradition enjoying great popularity. The so-called Liegnitzer (today Legnica) Bomb, a small gingerbread cake coated with chocolate, is a true culinary classic. These are perhaps the tiniest sweets made in Görlitz: the so-called love pearls (Liebesperlen). The coloured little dragees have been produced for more than 100 years in the candy factory Rudolf Hoinkis, they are filled in baby bottles, and until today, they proved to be a true export hit into over 20 countries. Real gourmets should not miss the chance to try the cuisine of two countries within one city. 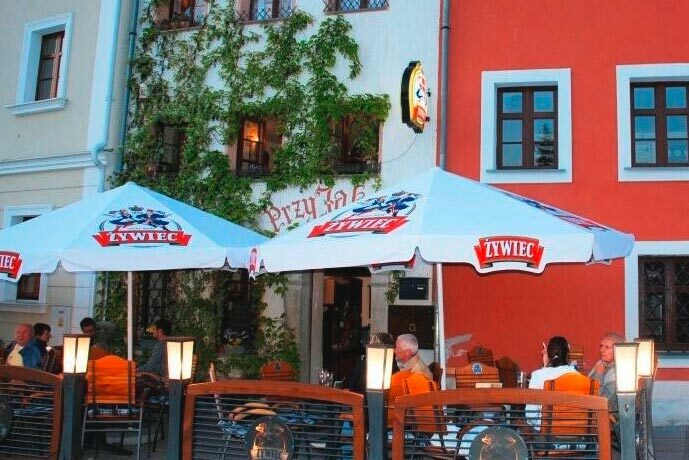 The numerous Zgorzelec inns and restaurants – some of them are located directly at the banks of the Neiße River – offer Polish specialities like borsch or pirogi with bacon – but you can order a delicious pizza as well. Bigos, the Polish national dish, is a must. It is a warm stew made of sauerkraut, white cabbage, mushrooms and different kinds of meat.